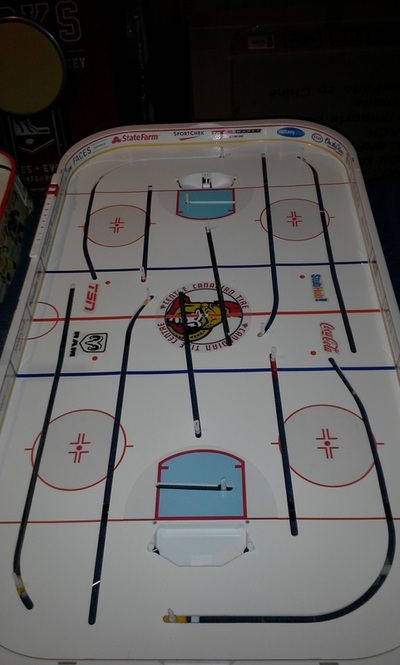 We can customize the on-ice and dasher boards logos for your STIGA, Powerplay 2 or Gretzky game (only) according to the team arena depending on the era, year or game series that you would prefer. For STIGA, Powerplay 2 and Gretzky games, a choice of waterslide decals or laminated clear and vinyl adhesive decals are used for the on-ice signage and laminated vinyl adhesive decals are used for the dasher boards. All decals are treated with a UV protectant. It makes the game look very realistic and adds a nice touch to any game. I custom design each logo according to the team arena depending on the era, year or game series. 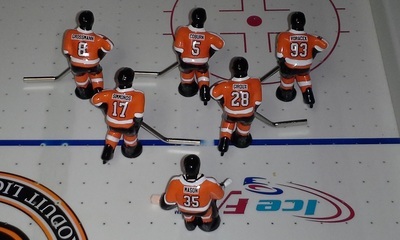 Party Pucks can provide team and player customization for STIGA, Powerplay 2, Gretzky, Super Chexx and most other table hockey games. 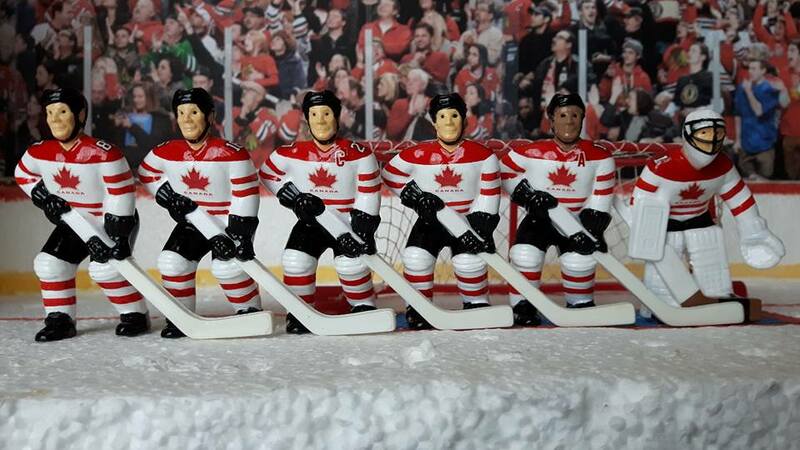 For existing NHL teams for STIGA, Gretzky and Powerplay 2, we can customize your players by adding names, alternate logos, shoulder patches and numbers of your favourite NHL team using premium waterslide decals. We can also do different eras. All of the decals will be accurate in detail to each individual team of whatever era you prefer. 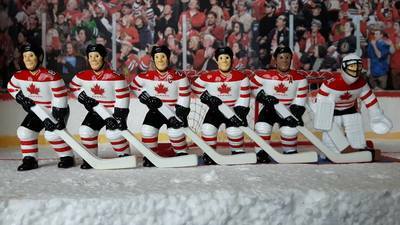 We can also custom paint your STIGA, Gretzky, Super Chexx or other table hockey players to the colour scheme and design (depending on the era) that you select. ​We use higher quality hobby paints. 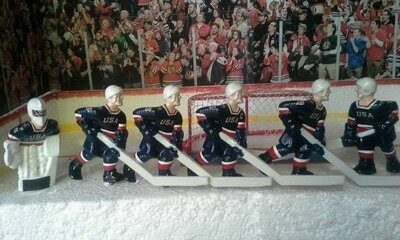 We also design decals for the players. 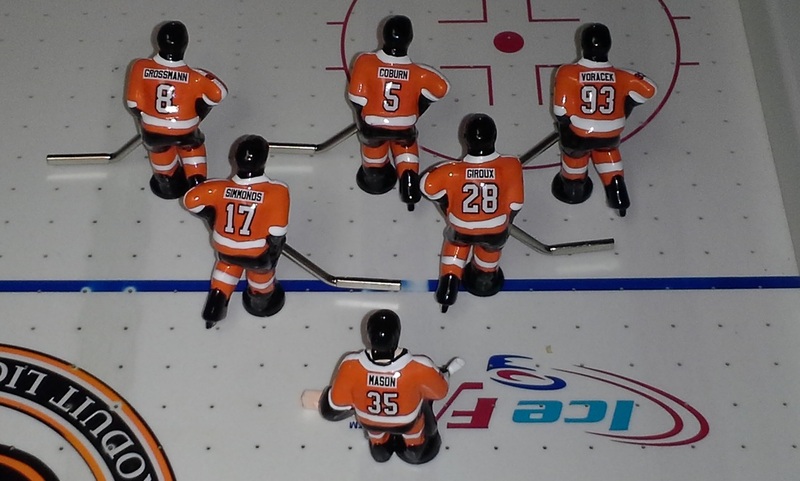 The name, numbers and any signage and logos on the jerseys and uniforms are accurate to each individual team chosen. * A $50 deposit will be required upon every custom request ($30 if under $100). Once request is submitted, a detailed price breakdown/quote will be emailed to you based on your request. Once approved an invoice for the $50 deposit will be sent by PayPal to be paid immediately. Once paid, work will proceed. When your request is completed, photos will be emailed to you along with a shipping estimate for approval. Once approved, your package will be shipped Canada Post. 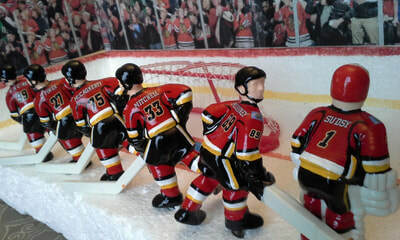 Turnaround of custom requests will be 6 to 8 weeks. CLICK HERE TO MAKE A CUSTOM GAME REQUEST.